How many Hispanic legislators is too many? According to Rebecca Forest, 36. That is how many Hispanic Legislators currently hold office in Texas and the reason why passing an immigration law has been ineffective, according to Ms. Forest. Yet according to Dianne Costa, who is a Republican Candidate for U.S. Congress, and also happens to be Hispanic, it is language like that of Ms. Forest that is causing the Hispanic community to stay home and hidden, even if they possess the same values of the Republican Party. Comments like those of Ms. Forest demonize (for lack of a better word) the Republican Party and its members. The art of communication is being tactful, having a point to make and ensuring that the statement offers information from which we can learn; not information that shocks for the sake of shocking to create a buzz. Hispanic Candidates like Dianne Costa are among our best and brightest, and those who are in the line of fire from the Democrats. Why must they also be fired upon by those in our own party? Ms. Costa is an excellent representative who warrants great respect for what she has accomplished and is in the midst of accomplishing. Where she must oftentimes defend why she is not a Democrat because she is Hispanic, now Dianne Costa and other Hispanic Candidates must also defend their ability to hold office as Republicans. If Rebecca Forest has misspoken, then I would invite her to speak to candidates like Dianne Costa and others to clarify her statement. There is nothing worse than knowing you have spoken an untruth and do not possess the courage to correct it. Worse is not being able to see past the angry rhetoric and its destruction. 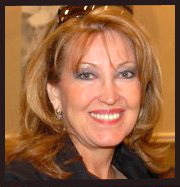 As Dianne Costa eloquently states, let us unify the Republican party, a lot is at stake in 2012. Hispanics hold conservative values, even elected ones. And if we manage to hear others above our own angry monologue, we may be able to come together for clarification. When questioned about this comment, it was suggested that [Rebecca Forest] was only referring to the Liberal Hispanic legislators. If that is true, why did Rebecca use the total number of Hispanic legislators including Republicans? And if that was not bad enough, at the end of the day the legislation was passed contradicting her remarks. This hinders Hispanics who have the opportunity to serve from running for public service. Regardless of which side of the issue you are on, is Ms. Forest's sentiment representative of the majority of the Republicans in our state and in our country? I would argue that it is not, or why else would these legislators have been elected? I pray this is a sobering wake up call to Republicans in Texas and across the nation that these types of comments are used and abused by the Liberal Media and by the Democrats who keep the Hispanic community misinformed making them believe that most of Republicans do not care for them as a community, and that is not the fact. I pray that we seek to unify and not divide our Republican Party. The Republican Party stands for conservative fiscal and social values to which we Hispanics truly subscribe.